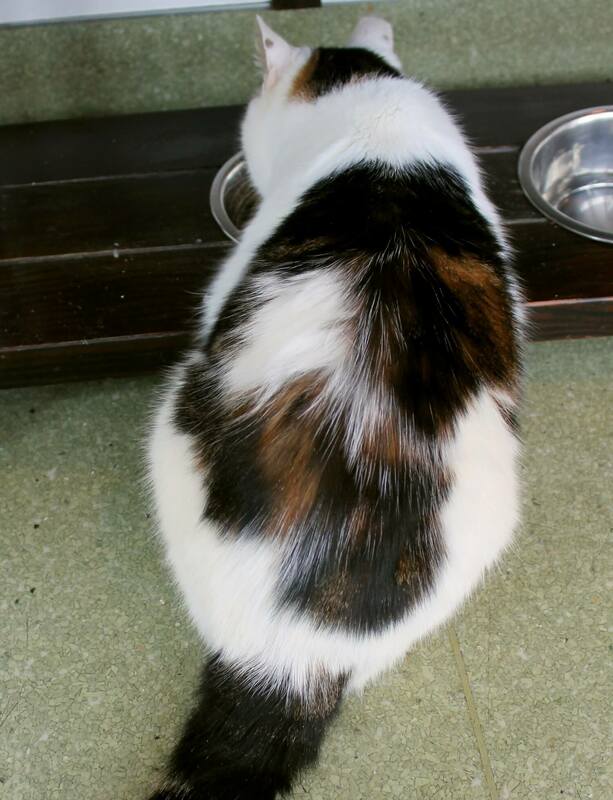 I am Nicky — the cutest, sweetest, roundest little 5-year-old boy kitty you’ll ever meet! I am a very gentle guy and have a very calming demeanor along with some beautiful brown tabby markings to contrast my mostly-white fur. 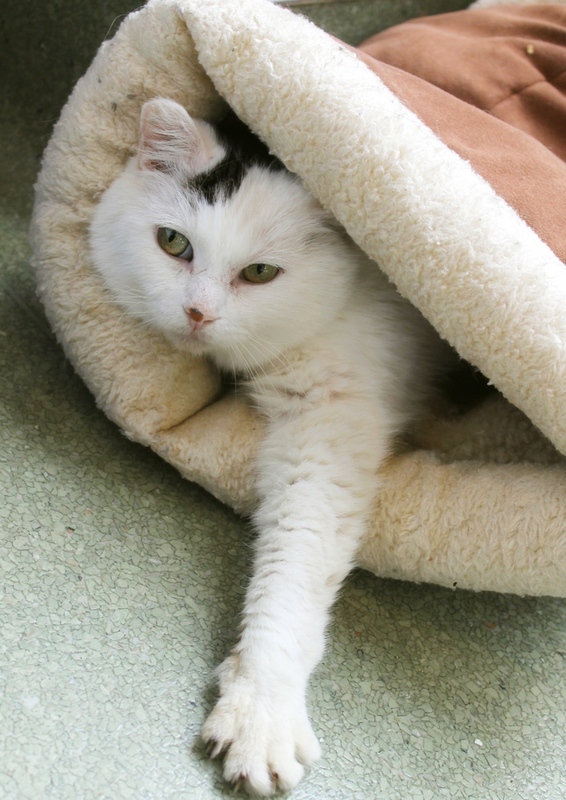 I came to Pixie after my elderly owner became unable to care for me any longer, so I’m used to a very quiet home. However, I’m very socialized to people and I really crave their attention! When I’m comfortable, I will rub up against your legs and roll around for chin scratches. I’m living very peacefully in the Pixie cattery around other cats, and I have a very passive attitude towards them. I don’t seem to need them around, and could definitely be happy as an only cat in the home. Though I can generally be found sleeping in a box or hidey-hole where I feel most safe, it usually doesn’t take long for me to come out and say hello when someone stops by to show me attention. I seem to respond really well to children, even tiny tots, and would probably do just fine in a home with them. I do still have a playful side, but I’m overall very mellow and have never lived outside, so I’d be perfectly content in an apartment setting. 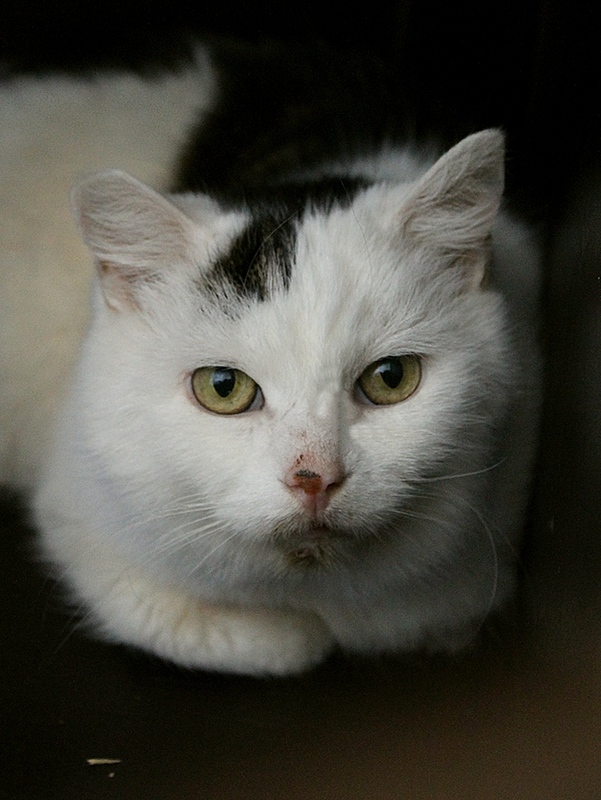 Are you or your family looking for a cuddly little man like me? I would love to meet you! I come to you fixed, vaccinated, and micro-chipped for an adoption fee of $100.